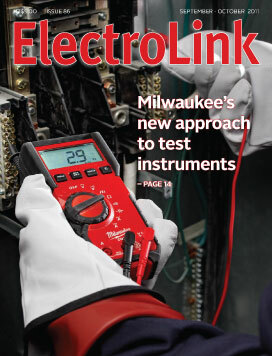 When Milwaukee decided to enter the crowded test instrument market just four years ago, the company knew it had to come up with a better approach to designing test equipment. The arrival of the Internet has been a huge benefit to the electrical industry making large amounts of product, technical and problem solving information instantly available from around the world. Hot on the heels of this information explosion has been the rapid expansion of on-line ordering and, more recently, the rise of on-line trading. Changes to fix some of the more contentious regulations that came into effect on 1 April last year are nearing completion and are hoped to be introduced by the end of October to take effect in November. These amendments are designed to clarify compliance issues in areas such as mains work, the difference between connection and livening, checking requirements prior to connection, the use of 10mA RCDs and the scope of prescribed electrical work. Treasury’s escalating forecast of the number of Christchurch homes requiring more than $100,000 in remedial repairs has created further angst that New Zealand won’t have sufficient trade skills to cope with demand when the Canterbury re-build begins. 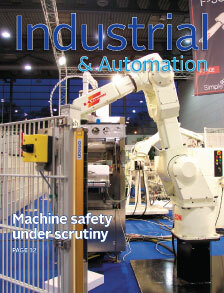 The Department of Labour is targeting manufacturers with a three-year machine safety program to address what it says is an unacceptable number of machinery-related accidents and deaths in the workplace. Announcing its Safe Use of Machinery project, the department acknowledges increased enforcement activity and the escalating value of fines being handed down by the courts in workplace prosecutions. 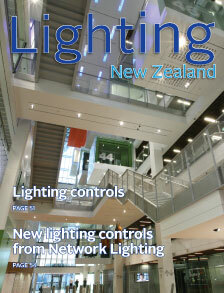 Once specified almost exclusively for scene and theme lighting applications, intelligent programmable lighting controls are increasingly being used as an effective energy management tool to control a wide variety of switching applications in commercial sector buildings. There has been considerable work going on behind the scenes to lock in changes to the way standards treat domestic downlights and come November these changes should be cited in an update of the Electricity Regulations.